For a class of 30. Students observe the effects of 4 chemical preservativessorbic acid, sodium nitrite, sodium benzoate, and propionic acid—on 6 food spoilage microorganisms. For a class of 30. Chemicals that prevent bacterial or fungal spoilage have been used for centuries. Students observe the effects of 4 chemical preservativessorbic acid, sodium nitrite, sodium benzoate, and propionic acid—on 6 food spoilage microorganisms. Requires 8 days from setup to completion. 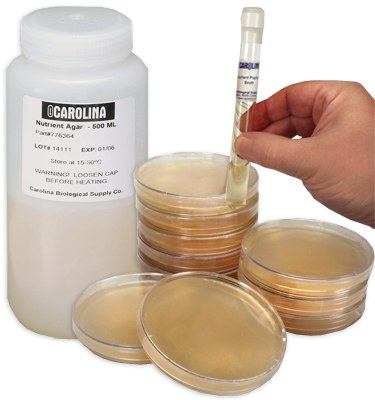 Note: Keep bacteria and fungi cultures at room temperature; do not incubate or refrigerate. This kit includes a prepaid coupon to request perishable materials later at your convenience. Contact us or return the coupon to request delivery of perishable materials.